Is DMT Produced By The Pineal Gland? Is DMT Produced in the Pineal Gland? What is the Pineal gland? What is its link to DMT? Is DMT produced by our brains? Is this fiction or fact? The human brain is composed of two hemispheres. These hemispheres are connected by the corpus callosum. The pineal gland is located between the two around the center of the brain. The pineal gland acts as the body’s time keeper. The pineal gland looks a bit like a pine cone. This is why it is called “pine”eal. It’s slightly reddish gray and just about the size of rice grain in humans. The pineal gland and it’s activity is not fully understood. Throughout mankind’s history, the pineal has been thought to be greatly important. It has been linked with the origin of consciousness itself. The Staff or Osiris in Egyptian Mythology which dates to roughly 1200 B.C. is two serpents climbing up to meet at a pinecone. The Hindu concept of the Kundalini is very similar to this, which are two serpents that climb up from the naval to meet at the pineal gland. The symbolism of the pineal across all cultures represents divine knowledge and enlightenment. Read about Historical and cultural aspects of the pineal gland: comparison between the theories provided by Spiritism in the 1940s and the current scientific evidence from NCBI here. The pineal gland regulates the sleep and wake rhythms of the body. This in turn effects our stress levels, physical energy, and mental functioning. Poor sleep patterns can induce irritability. It also causes a lack of clear and sharp thinking. When stress gets too high, obtaining a restful sleep becomes more difficult. Pineal gland primarily produces a chemical called melatonin, which is a serotonin analog. Melatonin regulates the organism’s sleep and wake cycles, and is responsible for the functioning of our circadian rhythms. Higher amounts of melatonin are produced in the dark. In absolute pitch black, the pineal gland is fully activated. Light interferes with melatonin production. Learn About the Anatomy of the Pineal Gland from Thought Co. The function of melatonin is to provide information about environmental light sources and intensity to various parts of the organism’s body. This allows the organism to know how to operate at the proper time of day. Melatonin is kind of like an invisible eye. Melatonin’s ability to communicate lighting information has led to the pineal gland being called the “third eye”. It’s produced by your pineal gland. It’s actually a gland that’s in the centre of the brain. It’s the craziest drug ever. It’s the most potent psychedelic known to man. But the craziest thing about it is it’s natural. And your brain produces it every night as you sleep. The time you’re in heavy REM sleep and right before death, your brain pumps out heavy doses of dimethyltryptamine…When you’re in heavy REM sleep, you’re going through a psychedelic trip. Very few people know about this. But it’s been documented. Joe Rogan Is DMT Really Produced in the Pineal Gland? We don’t know whether DMT is made in the pineal. I muster a lot of circumstantial evidence supporting a reason to look long and hard at the pineal, but we do not yet know. There are data suggesting urinary DMT rises in psychotic patients when their psychosis is worse. However, we don’t know whether DMT rises during dreams, meditation, near-death, death, birth or any other endogenous altered state. To the extent those states resemble those brought on by giving DMT, it certainly makes one wonder if endogenous DMT might be involved, and if it were, it would explain a lot. But we don’t know yet. Even if the pineal weren’t involved, that would have little overall effect on my theories regarding a role for DMT in endogenous altered states, because we do know that the gene involved in DMT synthesis is present in many organs, particularly lung. If the pineal made DMT, it would tie up a lot of loose ends regarding this enigmatic little organ. But people seem to live pretty normals lives without a pineal gland; for example, when it has had to be removed because of a tumor. David Nichols gave an illuminating talk on this subject as well. The pineal gland has a romantic history, from pharaonic Egypt, where it was equated with the eye of Horus, through various religious traditions, where it was considered the seat of the soul, the third eye, etc. Recent incarnations of these notions have suggested that DMT is secreted by the pineal at birth, during dreaming, and at near death to produce out of body experiences. Scientific evidence, however, is not consistent with these ideas. The adult pineal gland weighs less than 0.2 grams, and its principal function is to produce 30 micrograms per day of melatonin, a hormone that regulates circadian rhythm through very high a nity interactions with melatonin receptors. Very minute concentrations of DMT have been detected in brain, but they are not sufficient to produce psychoactive effects. Alternative explanations will be presented to explain how stress and near death can produce altered states of consciousness without invoking DMT. Currently, there is no hard proof that DMT is produced in the brain. Pineal Gland myths? Research has not found the enzymes required for NMT and DMT production to be expressed in the brain. The metabolic pathways of melatonin production (proven function of the pineal) seem to be separate from the metabolic pathway which produces NMT and DMT. However, just because one avenue of study turned up negative certainly doesn’t mean that the answer is final. Do Our Brains Produce DMT, And If So, Why? 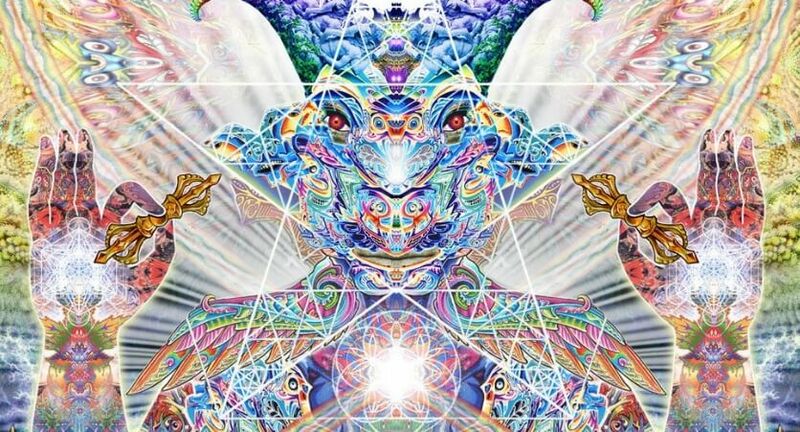 DMT found in the pineal gland of live rats is a recent discovery. More research is needed before we can determine the link between DMT, consciousness and the pineal gland. Consciousness and its origin is the reason for looking at the pineal gland as even before neurochemistry, the pineal has been granted a great seat of importance through the history of mankind through various cultures. Perhaps science coupled with the non-scientific knowledge of our ancestors may be the way to shedding more light on this link. Why has the pineal gland been exalted throughout man’s history? THE DMT-NEXUS SITE - Pineal Gland myths?